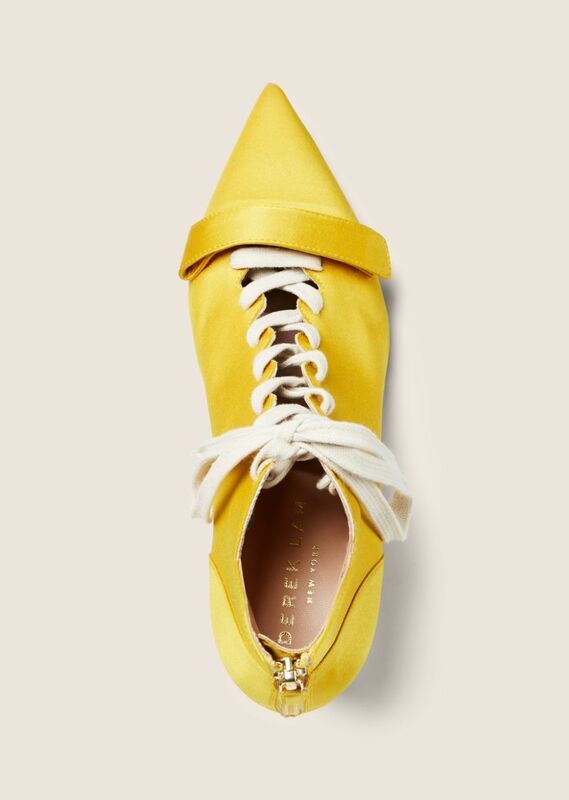 Pointed-toe lace up pump in golden yellow satin. Back zip closure with tonal fabric pull. White lace-up front with tonal satin hook-and-eye strap detail. 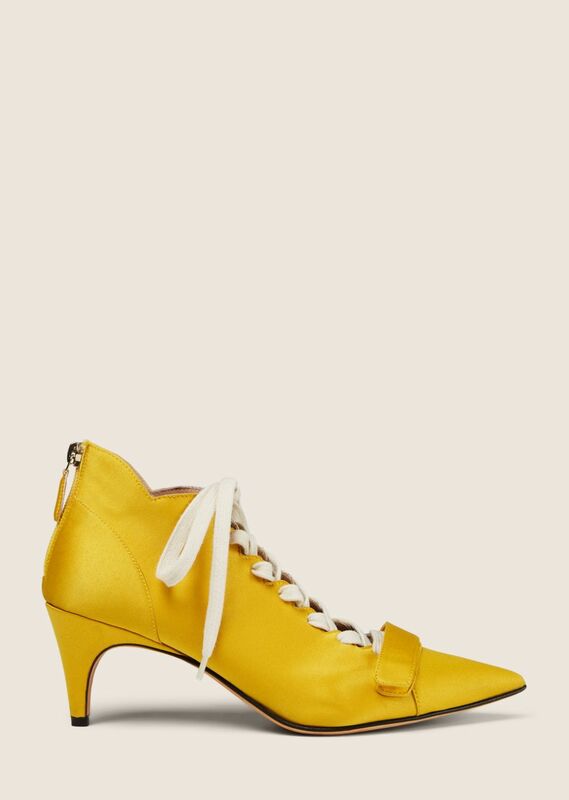 Fabric-covered heel. Leather sole, insole, and lining. Handmade in Italy.